This is as close to a Halloween-themed post as I will get. The WordPress Weekly Photo Challenge uses Rounded as the theme. I captured this full moon last year near Halloween with my phone! Really! I used some post-editing effects with some tweaks in exposure, but it seems to work for this challenge. For your consideration, here are two more orbs that rule Halloween night. To celebrate our finished master bedroom addition in October 2015 (has it already been 2 years?) 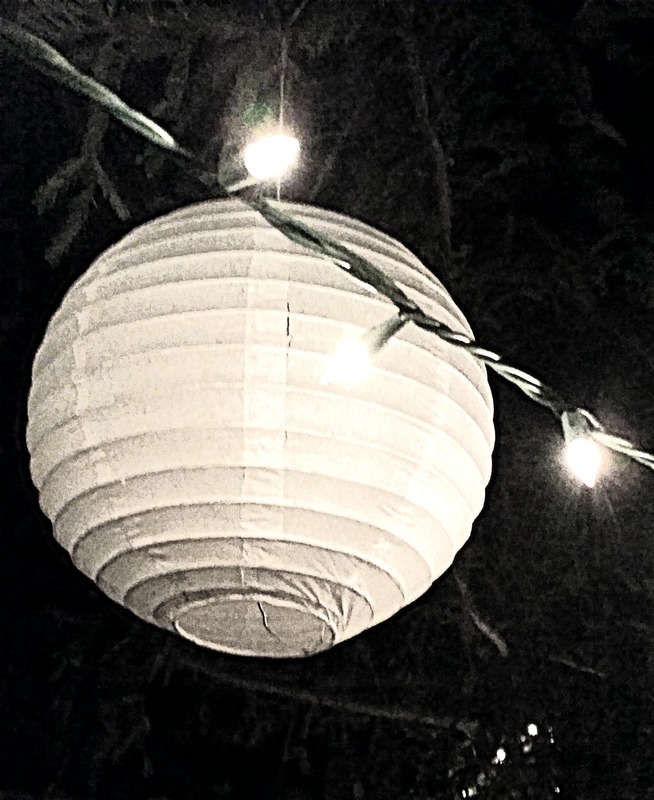 we hosted a little get-together on our deck and this lovely paper lantern lit the night efficiently! (Another cell-phone photo). These Moody Blues lyrics come to mind describing the “cold-hearted orb,” the moon as it lights up the darkness of night. …And which is an illusion? Nights In White Satin lyrics © Sony/ATV Music Publishing LLC, T.R.O. INC. Seems apropos for a Halloween-themed blog post! And because I’m not a dark, creepy person and enjoy the color orange, pumpkins and jack o’lanterns, here is a cheery photo of happy pumpkins waiting to be taken home from their pumpkin patch in nearby Apple Hill. Will they grace a family porch as jack o’lanterns, or become wonderful pumpkin pies….or both? 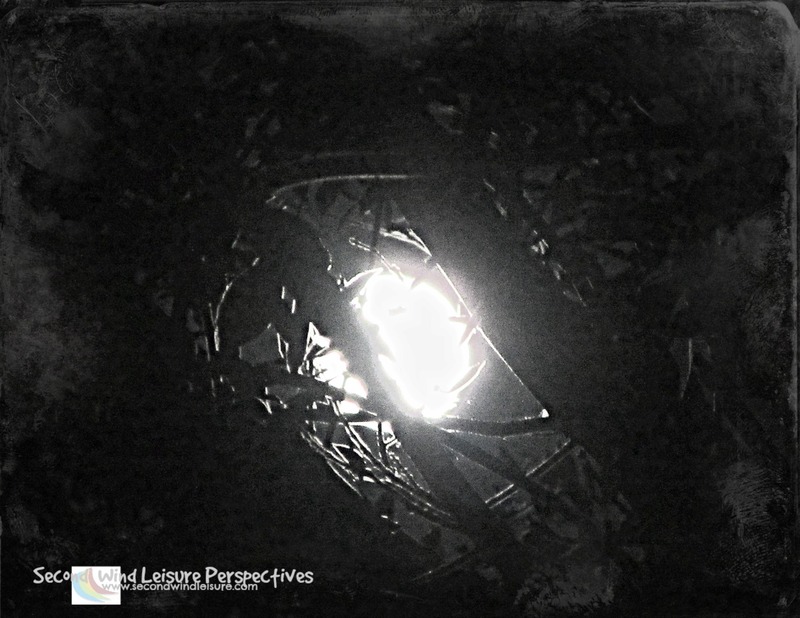 Although I did not completely accept the “Seven Days, Seven Photos in Black & White Challenge” by long-time fellow blogger and amazing photographer Lucile De Godoy, who was kind enough to nominate me, my featured image of the cold-hearted moon actually photographed in black and white. I admire those who can photograph in black and white…it is more difficult than one might think! Please stop by and visit Lucile’s blog and take a look at her beautiful photography! Have a safe and sane Halloween! I’ll be passing out candy to the few neighbor kids who still trick-or-treat in our neighborhood! Your creativity and resourcefulness never fail you, Terri. Three in one! Lovely Halloween post and two more challenges covered. Thanks much for the shout out and for making the effort to link it to this post. Even if B&W is not your thing, you did very well. Many thanks, Lucile! I appreciate you tagging me. I also saw the same challenge on Facebook with some friends (who don’t blog). I saw many other doing it too and with different rules. The one I got had none except for B&W but others couldn’t post photos with people. Thanks, Deb! I’ve been too busy to do much, so this worked out great! Thank you, Tina! I got a lucky shot with that one. Glad you stopped by to visit Lucile, we’ve been blogging friends since October 2014! Her photos are inspiring! Moody photos, the first ones. Good Halloween captures. I prefer the colors of the pumpkins, but I will leave my new porch in San Diego dark on Halloween. Fun choices Terri – definitely put us in the mood for some spooky nights to come! Great photos Terri! It’s amazing what you can do with an iPhone and a little talent. Happy Halloween to you too! We’ve even grown our own pumpkins this year, Terri. I hate to cut into them, though. I’m sure I’ve heard them scream. Sounds like the basis of another twisted tale, Hugh! Great photos and lyrics, Terri. Perfect timing for Hallowe’en! 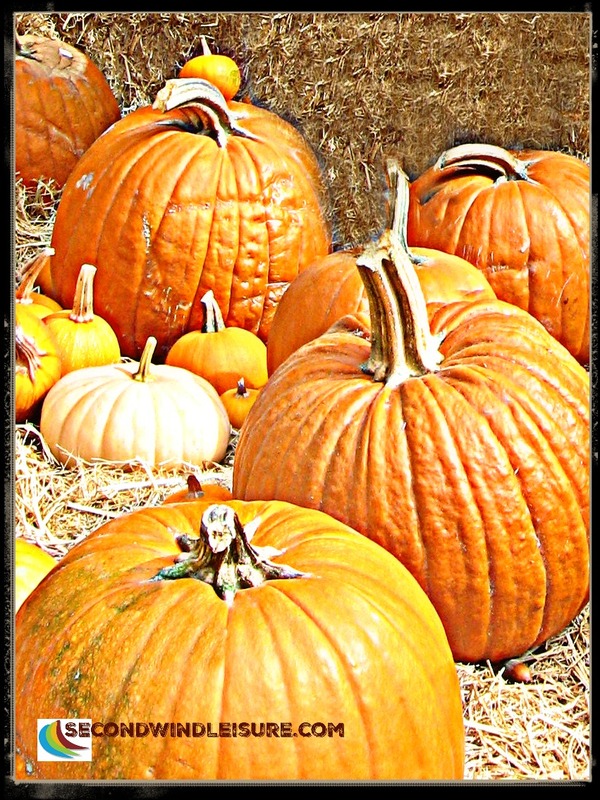 I love your pumpkin photo from Apple Hill the best! Thank you, Donna, that photo was cropped down from a larger shot of me and my daughters standing in the patch. Thanks, Kathy, have a great time! Great collection of orbs suggesting Halloween. I prefer things not creepy and terrifying, so your take on this holiday is my preference. Terri, I have to say, the image of the moon is a really well done photo. Thanks, Shari! I told my university class today about seeing the original movie “The Exorcist” when I was 13! It put me off scary movies and other creepy things even to this day! I like the first pic a lot! We don’t get many trick-or-treaters in our neighborhood either… but a neighbor always has a great Halloween party so at least the grownups have fun! Thank you, we used to have many more years ago but many aged out. We bought a couple extra bags to donate to our church’s event! Some lovely photographic ideas here, Terri. When I first read the title, I only thought about the moon, but you are so creative in your thinking, Terri! !